If your tourist business is in a bit of a lull and can use a bit of a boost, then I want to share with you a strategy MOST tour operators I’ve spoken to completely overlook. Let me explain why free advertising is ten times more effective than paid advertising. That’s right. Advertising which you generate through public relations and other means is tremendously more powerful than even the best ads money can buy. Free advertising is more powerful than “ordinary” advertising. Have I got your interest? Well, let’s do it. GETTING FREE ADVERTISING IS AN EXACT SCIENCE YOU, TOO, CAN USE! When I talk about generating free publicity for your product or service, I’m talking about the art of public relations. Public relations is not just an art, it’s a true science. Public Relations is a relatively new field, developed only during this century by a few enterprising ex-newspaper reporters and media types. Around the turn of the century, many people realized that the one thing better than a paid ad in a newspaper was a favorable article about the product written by a newspaper reporter. Today, that same article content has more media outlets than you can imagine—we have the internet. So try to imagine your REACH. Unimaginable! Here’s why a newspaper article about a product is far more powerful than an ad for the same product. When people read an ad, even a very good ad, they are aware that what they are reading is a sales pitch. When people read ads, they put their minds on guard because they know that people who write ads are not doing so objectively. This is—an advertiser will say anything allowable to sell products. People know that. When people see a news story, they have a totally different attitude about the messages they are reading. With straight news, people are somewhat disarmed; that is, they assume that what they are seeing or reading is an objective, unbiased news story. It is not “selling,” it is just telling. Therefore, a news story, whether it appears on TV, radio or in print “gets past” people’s skepticism like no advertising can. This makes all the difference in the world. If you read a story about Product X on the front page of a newspaper that tells how John Doe benefited tremendously from using the product, lots of people will want the same benefits. This is true especially after they hear about it from an unbiased third party source. One favorable article about your product can generate thousands of dollars in business! The opposite is also true. Something negative in the news can ruin you. Sometimes, something completely unintended can create huge shifts in major markets. A case in point is an old Clark Gable movie. I forget which movie it was, but there was a scene where Gable removed his shirt. What was remarkable about the scene was that Gable was not wearing a T-shirt. Now, in those days all men wore T-shirts as a matter of course, no matter what the temperature was outside. Once millions of men saw Clark Gable removing his shirt with nothing except his bare chest beneath, MILLIONS OF MEN STOPPED WEARING T-SHIRTS! This shows the tremendous influence of a non-advertising mass media message. Since then, movie makers have learned the power of selling products via the screen. We need only mention ET to remind us of that. My point is non-advertising media publicity is powerful beyond belief. If you “sneak” into the news, you’ll see a big and even huge payoff! 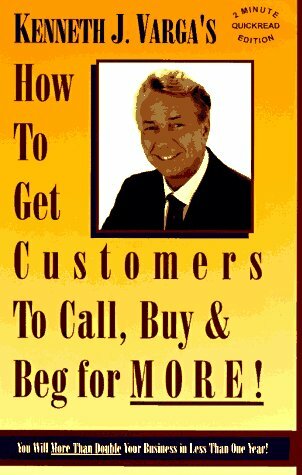 This article is an excerpt from the bestselling book How to Get Customers to Call, Buy And Beg for MORE!, by Ken Varga. If you’re the kind of person that wants to grow your tourism business despite a downmarket trend, the place to go is online; and the key to your success with it is well written content to circulate around the internet. But you'll need someone to help craft those informative articles to begin with. And that's where I can help. To get your travel articles professionally crafted for you, get more information from my article How to Boost Tourism to Tanzania: Discover the SECRET to Growing Your Tourist Business with Referral Marketing. To plan your honeymoon safari in Tanzania, consult Arusha based tour operator Abrojaley Africa. To book a mobile tented safari in Tanzania, contact Arusha based tour operator Abrojaley Africa. Arusha, a city in northern Tanzania, is surrounded by some of the most famous landscapes and national parks in Africa. Situated below Mount Meru, the city has its own National Park on Mount Meru and is close to the famous Serengeti national park, Ngorongoro Crater, Lake Manyara, Olduvai Gorge, Tarangire National Park, and Mount Kilimanjaro. When it comes to what to do and where to go, you will be spoilt for choice. My advice is you consult a tour operator on available options according to your budget and interests, and then please don’t forget to make your reservations early. To book a safari in Tanzania, contact Arusha based tour operator Abrojelay Africa. There have been reports in the media that tourism in Tanzania is down a whopping 80 percent, seemingly overnight! Which is rather alarming, don't you think? While we wait for the situation to improve, and I'm sure it will at some point, here's what you can do to improve SALES. If you run a tour operator business; or perhaps represent a hotel or lodge... catering to the tourist industry; and if it's in freefall with a decline in visitor numbers from abroad, then evidently you will want to find ways to keep your business afloat. That being said, in this article, I will talk you through a step-by-step plan of action to help you generate new customers straight off the internet with Search Engine Optimized (SEO) travel and safari content. 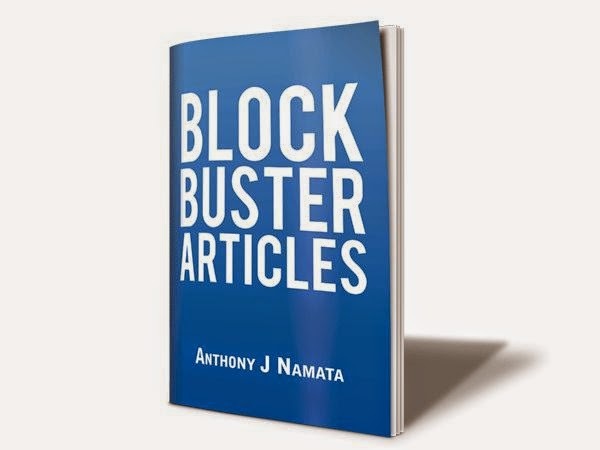 Commonly known as article marketing, this powerful marketing strategy uses informative articles (not sales pitches) to pull traffic from search engines, article directories, blogs and a wide range of social media platforms. This article will also shed light on referral marketing, and introduces the must-have book for entrepreneurs: How to Get Customers to Call, Buy and Beg for MORE! And better yet, I will also introduce you to the exponential power of affiliate marketing and how YOU can harness its INCREDIBLE marketing potential for your business. Picture this. How would you like to have savvy affiliate marketers from all around the world promote your business on the internet for FREE? This article will link you up with an established E-Commerce Affiliate Marketing Network that puts the marketing muscle of over one million SFI Affiliate Marketers to work for you, promoting and selling your products in over 20,000 cities in over 190 countries, to help you achieve the success you so rightly deserve. The more you consider the prospect of going out of business simply because the tourist numbers are down, the more you’ll want to find ways to not only keep your business afloat, but to also prosper in the face of a downmarket. The tourist industry in Tanzania is on a downward spiral—no doubt, but now more than ever, if you want your tourism business to get through this rough patch, you’ll need to find the most effective ways to promote it! I worked in the travel industry for 10 years during the 1980s and 90s, and I know for a fact that a lot of tour operators will be heavily reliant on overseas suppliers. That being said, especially this day and age, potential holidaymakers will generally research for suitable destinations online before they book their holidays. And that’s where informative content in the form of well written articles, not only offer information in a friendly and more informal manner—prospects simply love this—it ultimately leads potential customers directly to you to book the safari holiday. You’re going to be amazed to discover that in my travel marketing years, I published a quarterly newsletters that was printed and mailed out in the post. This simple newsletter listed all the products I had created for holiday getaways to destinations within Tanzania and abroad. Written in a very chatty and reviews kind of way, it was the prime reason... aside from the referrals, that ensured a steady stream of customers calling and walking through the door all year round. I was by far the busiest travel consultant in Dar es salaam. Not a lot has changed, since. Email newsletters and online articles have replaced print media, but the system is still as powerful today as it was back then; and can be an effective marketing strategy for your business this side of the millennium. You’re not a great writer? Well, that’s where hiring a creative writer like myself is the quickest way to get started. 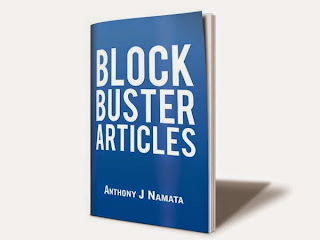 The advantage of having good content online is that—providing it doesn’t date, it can be published and shared over and over again for many years to come. So imagine hiring a social media marketer, for instance, to put a spin on one of your iconic pieces every now and again… the sky truly is the limit. And I am able to connect you to reliable providers in the outsource marketplace (people I've worked with), to make sure you get BIG RESULTS with social media marketing. How to Dig Up the Golden Nuggets from Your List of Customers: You Will More Than Double Your Business in Less Than A Year! Some people say that the money is in the list. In context of the travel industry in particular, if you’ve had a customer walk through the door and you have provided them with a great service, then THEY can help you spread the word for your business. But the process is a little more intricate than that. Just where do you begin soliciting for more trade off of your customer base? Well, nobody sums it all up better than Ken Varga in his bestselling book How to Get Customers to Call, Buy and Beg for MORE! I strongly recommend that you get your hands on this AMAZING book. It will change your business forever. Find out more, here! I wonder if you’ve realized thus far, how in this one article, your tourism business can change for the better forever. But only if you take action today! Allow me to introduce you to the incredible power of affiliate marketing for your business. In principle, it’s very simple. You get marketers from around the world to promote your business for a small commission. But the beauty of it is, you don’t even need to set-up your own affiliate program. Instead, you can plug into an established affiliate program such as TripleClicks, who already have experienced marketers lined up to promote your business. Find out more, here! If you’re the kind of person that wants to grow your tourism business despite a downmarket trend, the place to go is online; and the key to your success with it is well written content to circulate around the internet. But you'll need someone to help craft those informative articles to begin with. And that's where I can help. To get your travel articles professionally crafted for you, get in touch with me to commission your first ten 400 to 500 word SEO articles. If you’ve noticed the likes of Apple and digital darlings OnePlus slapping on an ‘S’ onto last year’s phone and calling it a day, and thought it didn’t really surprise you because you’d gotten accustomed to it… well, for those with their eyes wide open this tendency to-not-even-try is fast becoming a mark of shame, to say the least. It’s as though they imagine you’d be content with a few speed upgrades here, and a camera tweak there. It certainly isn’t enough to get phone geeks excited any more, now is it? Let’s take a quick look at Oppo’s follow-up to the R9. It doesn’t take a geek to figure out that it falls into the same shame-faced category of just-a-little-better. But the rudimentary question is does the R9s actually shine on its own? Agreed, we see some thoughtful tweaks that pull it out of the shadow of its predecessor, but would you go shouting from the roof tops? Awfully reminiscent of an iPhone, the R9s is slim and has a glinty, chamfered edge running around its 5.5 inch screen. Which, I’m sure you’ll agree, is typical of smartphones nowadays anyway. There is a difference that stands out, though. You’ll spot it around the back. Even the thick antenna lines that Apple can’t hide on the iPhone have been split into three fine lines here. Arguably, a small detail, but it does add considerable elegance to the overall look of the phone, and means you don’t need a case or cover to hide the antenna line-scarred rear. Needless to say, isn’t it SO obvious that by simply moving your thumb onto the home button the R9s more than reminds us of the iPhone 7! Quintessentially, it’s not actually a button. 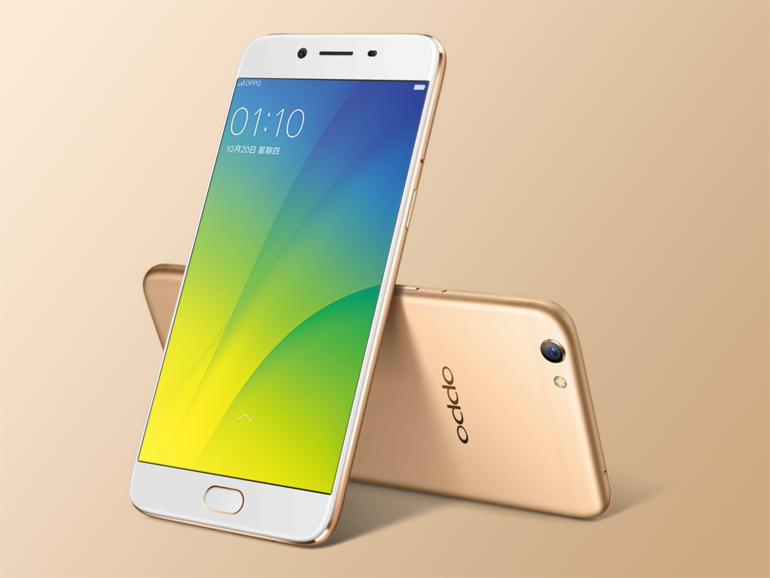 It’s more of a solid state one that hides a bizarre fast fingerprint sensor. One of the oldest minerals in the world—gemstones, are known to rarely depreciate in value. Usually, supply determines the value of gemstones. For example, compared to other gems, diamonds are low in supply, albeit by limited production or companies trying to monopolize the industry, resulting in them being expensive. You cannot produce natural gemstones, and therefore start-up costs are also high due to the low supply, however, selling these precious gems can be quite profitable. Making money with gemstones is perfectly feasible, but you’ll need to consider the following helpful tips. You’d need to be willing to invest your time and your money, leveraged with a considerable amount of patience. Either way, cut or rough, gemstones can be quite costly. It generally depends on the stone, with diamonds and sapphires being the most costly, and aquamarines, tanzanite and topaz more on the lower end. Travelling directly to where gemstone mines are located in remote locations like Tanzania, Madagascar, Sri Lanka and Myanmar, the cost of rough gemstones will be lower. But make sure you bring along someone who knows gemstones and has a keen eye; or else you might end up paying over the odds for poor-quality gems. And one more thing: The more parties involved in the transaction and shipping of the stones, the higher the price. Trade shows are a good place to purchase gemstones. In fact, one of the best known is the Tucson Gem and Mineral Show. If you want to make money with gemstones you’ll need to have contacts. Trade shows provide that platform, so don’t overlook this. Success in the gemstone industry is only achievable over time. So don’t expect things to happen within a month or just a couple of years. Longevity in the business is the key, and you’ll require contacts, experience and a whole lot of patience while your business gains a strong reputation. Be willing to reinvest any initial sales back into the business. 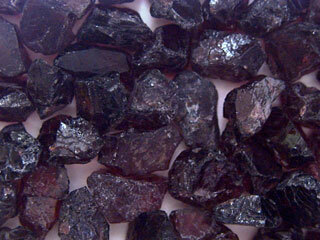 Be meticulous when choosing the type of gemstones you want to sell. Do you want to purchase only a few sapphires at a higher cost, or perhaps buy more tanzanite instead? Your decision should be based on how much money you can afford to invest. Also make sure you determine the condition of gemstones you wish to sell. For example, you could buy rough gemstones at source like Madagascar, and resell to the United States and Europe at a premium. Or, you could buy uncut gemstones, hire a professional gemstone cutter and retail your merchandise on the retail market. Alternatively, you could buy cut gemstones, mount them onto pieces of jewelry and go as a jewelry store operation. The highest profit margins come from retail sales, but then the initial capital required may be higher, as you’ll need a gemstone cutter and machinery. And what’s more, gems may not sell as fast as you’d like, and that’ll tie you down in terms of cash flow. And of course, these gems will need certification from an external party like the Gemology Institute of America. If you decide to go in the direction of selling cut stones, then you need to find a quality gemstone cutter. Your cut could add hundreds or even thousands of dollars to the price tag, or on the flip side, it can depreciate the value of the stone when done poorly. Michael O'Donoghue explains in the book "Gems" that cutting lighter-colored stones like diamonds and pink sapphires requires extra attention than darker stones. Whatever you do, making money on gemstones requires that you determine your audience. Are you selling to high-end retailers or retailing loose stones online? Or is your target the investor? If your aim is to get into gemstone for business success, select your audience and cater to their needs. To find out How to Become An International Gemstone Dealer, WITHOUT previous experience and NO Start-Up Capital! Nada. Zilch. Zero! Read The Gems Report. You’ll be amazed to discover that there is a link to high intensity physical exercise on a lactic threshold level, to the release of endorphins in the brain. Endorphins act as your natural "drug" that make a person more energetic, more awake and, yes, most definitely happier. Endorphins would usually kick in during a run, after a workout or both, and are generally referred to as a "runner's high." 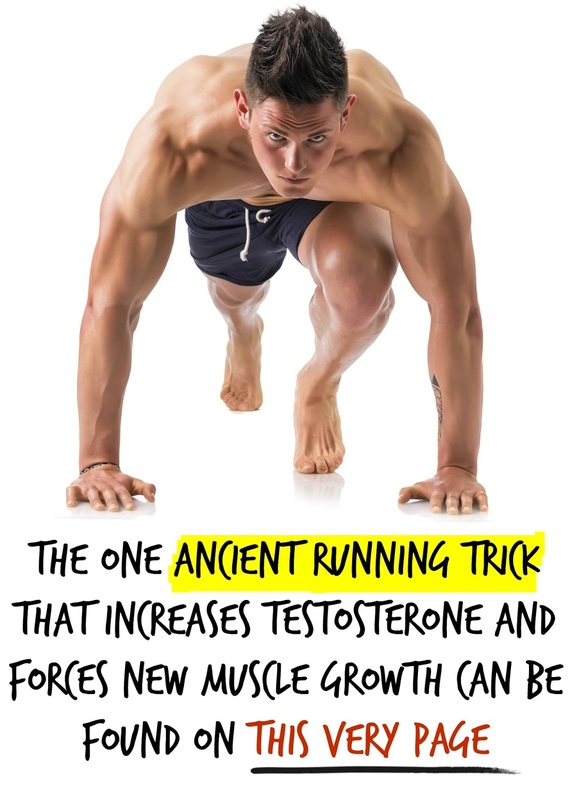 The U.S. National Library of Medicine recently published a shocking article confirming that testosterone levels are lower in endurance running males than in guys who don't even workout. The Study also said endurance training can damage the male reproductive system. When you look at the physiques of long-distance runners and compare that with 1,000 meter runners, you’ll observe that their physiques are completely different… the sprinter looks muscular and ripped, whereas the long-distance runner—for lack of a better definition, looks rather scrawny. 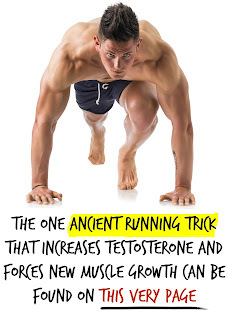 You’ll be amazed to discover that running to the lactic threshold for 30 seconds will increase your growth hormone by 530% with only a 16 minute run per week. To find out more on the benefits of anabolic running, click here!